Joe Wells, of whom it has been said. : POP Connect presentation. This week I did a ten minute presentation at the Bishop Stortford POP Connect meeting, here is the script which you may find amusing, I hope so. When I accepted the challenge of speaking for ten minutes at this meeting I hadn’t realised how life was going to get in the way of my preparations. With there being barely sufficient time to write a ten minute speech let alone memorise it too, so I have come up with a cunning plan. I have managed to find time to write my speech but not sufficient time to memories it, so as an author and blogger the solution is to read you the story. Are you sitting comfortably, then I’ll begin? Once upon a time in a land far far away I was born and my name was Michael Nolan and when I was one year old I was adopted and became Joe Wells. My father was a baker as was my grandfather and it was expected that as the eldest son I too would enter the family business. I can remember asking my father, “dad, dad draw me a picture?” He drew me a picture of a bread delivery van full of cottage loaves. I was a cosseted and sheltered child and I think a little immature for my age which may have had some bearing on the fact that I wasted the benefit of my education at Haberdashers Askes School for Boys. Times were different in those days, corporal punishment was the norm. I can remember many a happy time in lessons staring daydreaming out of the window when a piece of chalk would crack you on the head to regain your attention to the lesson. The teachers had remarkable accuracy, even with objects as heavy as a board rubber. It may seem harsh today but the teachers had carte blanc to inflict injury on us with any number of objects, from rulers across the knuckles to large plimsolls and finally six of the best with a cane. By today’s standards it may seem a little over the top, but I’m certain it did instil in us a sense of discipline lacking in the youth of today. Strangely enough when I was at school I wanted to be a script writer but this was in the days when one was conditioned with a sense of responsibility and so I did what was expected of me and became a baker. Even if I had continued with my desire to be a script writer one wouldn’t have had the faintest idea how to become one, I suspect today one might be able to go to University and do a degree in script writing. I later became involved with The Variety Club of Great Britain which had an amateur theatre group who would put on shows to raise money for charity. Starting backstage I soon graduated to the stage itself. “We need someone to do a line in act four, you’ll do!” By this time the bug had bitten, adrenaline is such a wonderful drug! Having sold the business and being financially secure I set about obtaining my Equity card, for in those days you were not allowed to perform without one. I worked hard and progressed from the bottom to just above the bottom, which may not sound that impressive but earning a living in the performing arts is a result in itself. Sadly, as the years progressed my mother’s health gradually deteriorated to the point where due to her dementia I became her full time carer. Unfortunately, this had a detrimental effect on my acting career and I eventually received a “Dear John” letter from my agent. One of the few useful things I learnt from school was the fun of writing so I have always written things and continued to do so to satisfy my creative side. I’m fairly certain my children’s book character Nobby Brasso, from up North where they don’t wear coats even when it’s freezing cold was originally dreamt up one freezing winters day whilst waiting for school to open. He’s come a long way over the years! Most of my children’s stories were written for the daughter of a girlfriend who later became my wife and were shorter and never thought of as something to put in a book. It was many years later thanks to being able to publish relatively easily on Amazon that the idea of turning the stories into books became a reality. I have written a collection of plays, called The Plays Wot I Wrote, the title of which was a small homage to Eric Morecambe, although I wonder now if anyone gets the joke or merely thinks I just can’t spell. One of the plays therein, Dulce Et Decorum Est Pro Patria Mori which is based on letters sent and received by soldiers in the First World War has been produced by the Wireless Theatre Company and is available as an audio download on their website. Another of my plays, also available on Amazon is The Battle of Barking Creek which tells the fascinating true story of a friendly fire incident on the third day of World War Two which resulted in the death of one of our airmen. One day someone will find the story and make a full length feature film about the event. 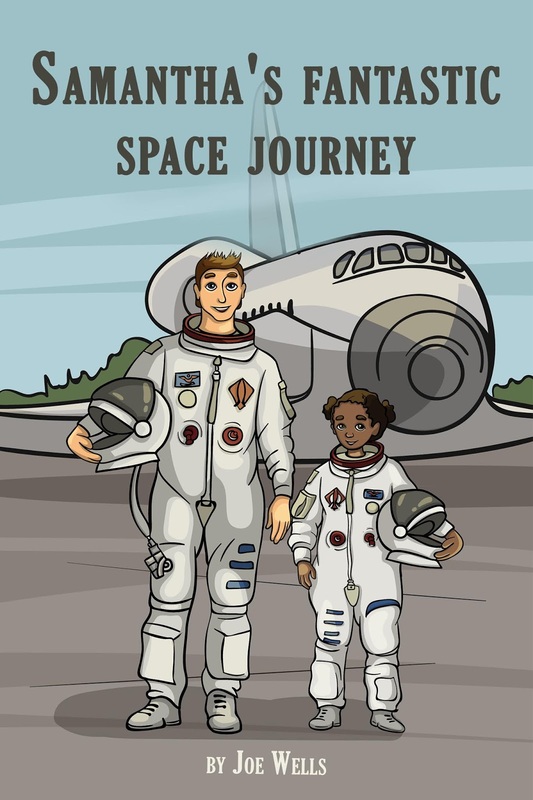 It may sound strange that as an author of children’s books I know very little about children but have been informed by a children’s teacher who knows about such things, that the books are suitable for children of a reading age of 5 to 7. 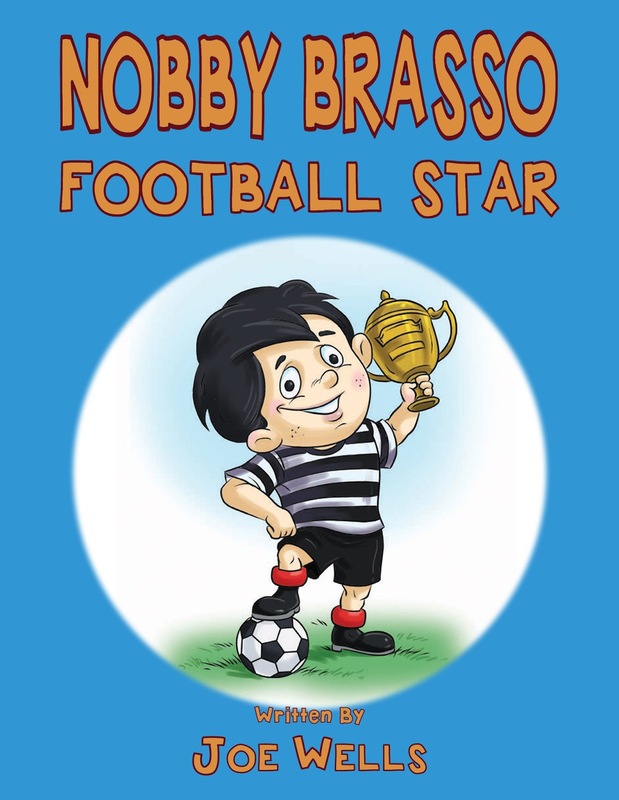 My first children’s book, Nobby Brasso Football Star tells the story of Nobby a young boy who graduated from the school football team to playing in the Cup Final. There are little gags in the book for the grownups who may be reading to a child as I believe the object of a bedtime story is to assist the child to sleep but to keep the adult awake. 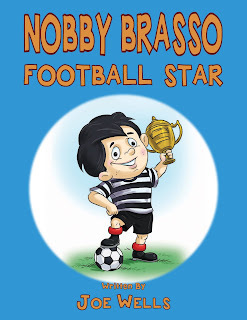 The second Nobby book, Nobby Brasso and the big bash birthday will soon be available for the children who enjoyed the first story. As you can tell, I had a fairly old fashioned education and this is reflected in the books which all have lessons about morals, ethics and aspirations and rewards hidden in the stories. 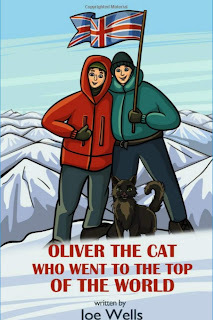 They say the best way to write anything is from truth, which leads me to Oliver the cat who went to the top of the world. The opening of the story concerns a friend giving a kitten called Oliver as a Christmas present and is based on the kitten given to me one year by my friend Collette. 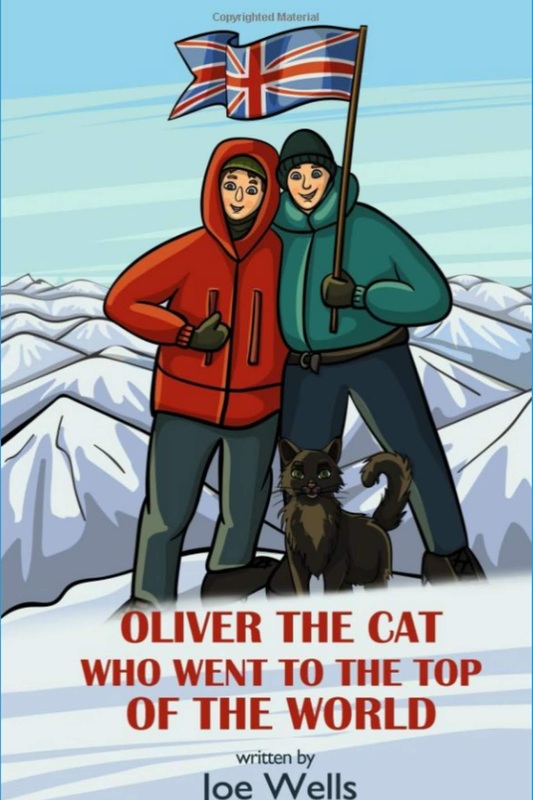 In the story Oliver goes to the top of Mount Everest and saves the lives of his companions on the way and is rewarded with a medal from The Queen on their return. 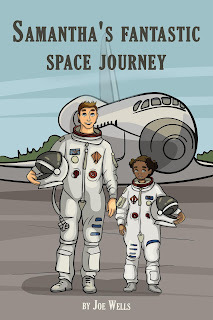 Once again Samantha’s fantastic space journey has elements of achievement and reward when Samantha goes into space and saves the life of one of the other astronauts, this time receiving a medal from President Obama. All of the books have black characters so hopefully can appeal to a wide audience. 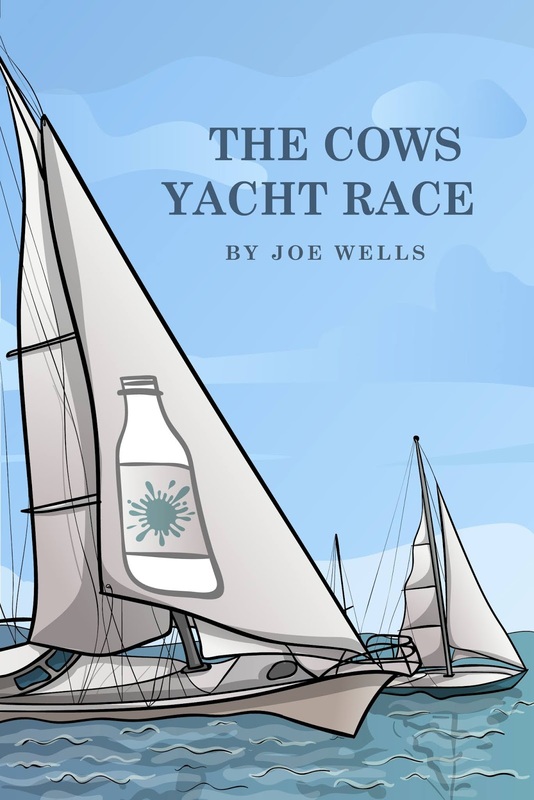 Finally, The Cows Yacht Race is the amusing story of a group of cows who learn to sail and take part in The Cowes Yacht Race. Coming soon, The Animal Olympics is jam packed with morals and tells of Mole who won the 100 meters proving even with poor eyesight he could beat far superior animals. Also coming soon is Norman the pirate who didn’t want to be a pirate but would rather be a florist like his friend Dorothy, with gags yet again to keep the adults amused, all of the books are available on Amazon. Lastly, I write two sometimes serious, but mostly amusing blogs. The Diary of a Country Bumpkin, is one and the other is Joe Wells, of whom it has been said. 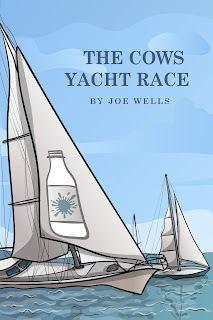 Joe Wells children's books 2018.